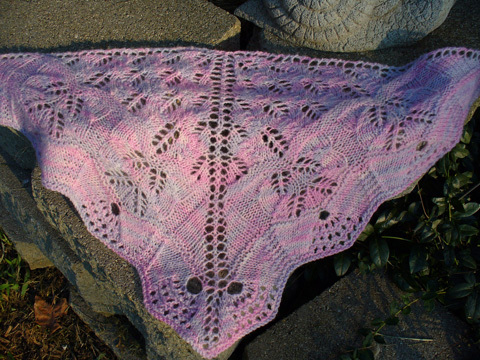 finished size: approx 86″W(top edge) X 36″L(center back) shawl size may be adjusted by using smaller needles and/or finer yarn. for those who are interested, elizabeth let me know that there is a thread for the moth shawl going on the knitter’s review forum. 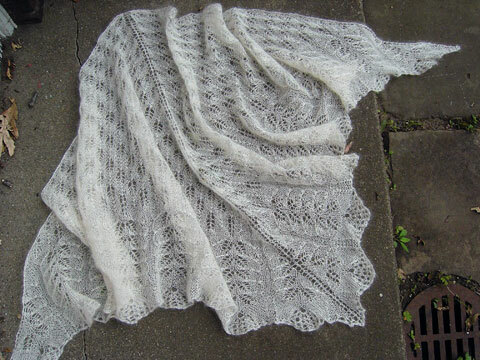 and there is a yahoo group of shawl knitters, where the pattern was also mentioned and is being worked by several members. 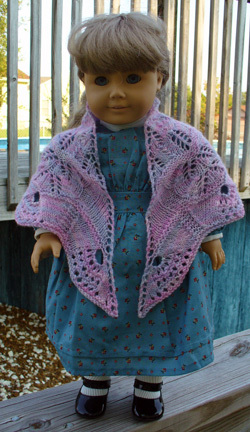 there is another group called Fibertraditions at yahoo with members talking about moth shawls. i’m sure these will be great resources for anyone who has questions or thoughts to share as they work through the pattern. updates are incorporated into patterns afte the date posted, so if you received your pattern AFTER these dates, you do NOT need to update. okay—we’re saying the F-word now! well. i didn’t anticipate that . . . This is one of the most gorgeous pieces I have seen in a long time. I would like to order a copy. Would you send me a paypal invoice? Thanks. 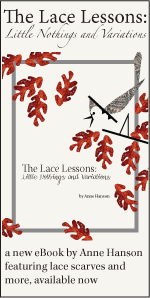 What would you recommend for a knitter that has not done lace yet? 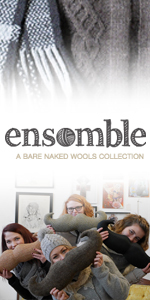 I have done pomatomus sock, and am working on your Ostrich Plume scarf…what’s a good next project? I love the Bee and the Moth, but….